With his shock of blond hair and laid back disposition, Jimmy Greenhoff was the archetypal Mr Nice Guy of Seventies football. Often cited as the finest player never to play for England, he was a manager's dream, loyal to the needs of the team and happy to contribute wherever he was required. Andrew Mourant: "Many Leeds United fans felt the departure from Elland Road of Jimmy Greenhoff was premature; there was a sense almost of anguish that someone with his fluid talents could not be accommodated in Don Revie's grand scheme of things. There could scarcely have been a better advertisement for the game than Jimmy Greenhoff with the ball at his feet embarking on swift, surging runs from the right side of midfield. He was, and looked, a natural footballer; yet it was at other clubs, and at centre-forward that he would eventually exploit his talents most fully. As he matured physically, Jimmy Greenhoff became an increasingly potent player." 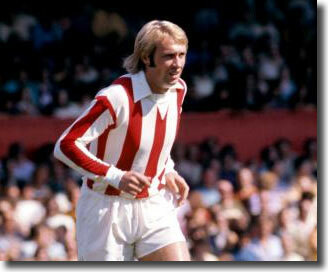 Rob Bagchi and Paul Rogerson: "Greenhoff was a languid, graceful striker who seemed to glide through games. The fans loved him, as they always love those whose skills are unattainable. Some looked at Belfitt and thought, 'I could do that'. Everyone knew that what Greenhoff had was out of their reach." David Saffer: "A natural footballer, his control, distribution, composure and ball-striking ability set him apart." Though always acknowledged as a good footballer and a reliable, if not prolific, scorer, Greenhoff's purple patch came between 1972 and 1979 when he starred for Stoke City and Manchester United, a vital cog that kept the wheels turning. 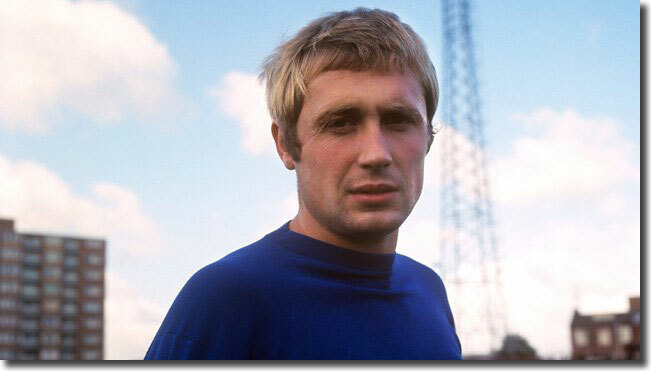 Jimmy Greenhoff was born on 19 June 1946 in Barnsley, South Yorkshire. Brother Brian, seven years his junior, would also make a name for himself in professional football, winning 18 England caps. In his early days, Greenhoff was an attacking wing-half and starred for Barnsley Schoolboys, who won a clutch of honours in 1961 while he was still shy of his 15th birthday. His displays marked his name as one to watch and in June of that year he signed apprentice forms for Leeds United, one of a number of young starlets who were enthralled by the vision of rookie manager Don Revie. Greenhoff was in good company, as Revie observed in the autumn when writing about United's Northern Intermediate League line up: "Their average age is 16, but our young team can more than hold its own. Gareth Sprake, goalkeeper, 16, from Swansea Schoolboys ... right-half Jimmy Greenhoff, 15, star of the Barnsley Boys team which won the Yorkshire Cup and English Schools' Shield last year ... Paul Reaney, captain and centre-half, a Leeds lad from the Leeds City Boys team ... Norman Hunter, inside-forward from Newcastle district … Terry Cooper, a 17 year old outside-left, is another apprentice of great promise." Despite the promise of youth, Leeds were in a dire situation as Revie struggled to get to grips with the switch from player to manager. His team struggled to avoid relegation from Division Two, though the signing of Scottish veteran Bobby Collins was the catalyst for survival. Revie signed John Charles in the summer but then chose to gamble on his nursery. Greenhoff was one of a clutch of youngsters who debuted in 1962/63. His selection for the team to play Southampton on 15 May completed a list comprising Reaney, Hunter, Rod Johnson, Peter Lorimer, Tom Hallett, Tommy Henderson and Barrie Wright. 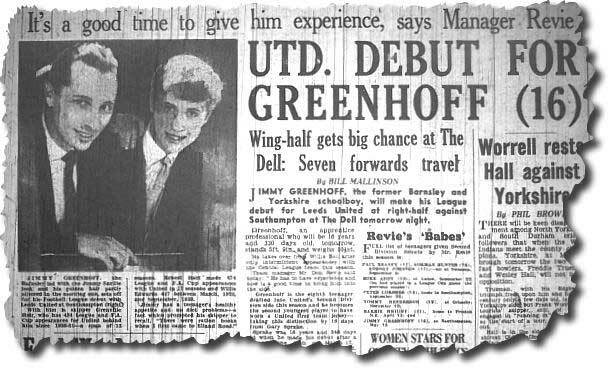 Bill Mallinson in the Yorkshire Evening Post: "Greenhoff, an apprentice professional who will be 16 years and 330 days old tomorrow, takes over from Willie Bell after only intermittent appearances with the Central League team this season. Team manager Mr Don Revie said today: 'He has to have experience and now is a good time to bring him into the side.' Greenhoff is the eighth teenager drafted into United's Second Division side this season and he becomes the second youngest player to have worn a United first team jersey." United lost 3-1, but Greenhoff did enough to retain his place for the closing game of the season. Leeds beat Swansea 5-0 at a canter and the youngster earned decent reviews. Mallinson wrote: "There were many opportunities for the young newcomer to shine constructively and here Greenhoff showed promise of becoming another Danny Blanchflower. A last ditch clearance denied him a home debut goal near the end." Lyndon Armitage in the Yorkshire Post: "Greenhoff gave a competent display in his first game before an Elland Road crowd, which showed its appreciation of the way he distributed passes. Fully justifying Mr Revie's faith in him, he looked a player with a future." Greenhoff signed professional forms for the club in August 1963 after being selected for Yorkshire Schoolboys. Don Revie knew it was important to keep young feet on the ground, and Greenhoff did not feature again in the first team until October 22, a League Cup-tie against Swansea. He had to wait until March 1964 for another League start, though he featured again a week later at Middlesbrough. Ian Guild wrote in the Yorkshire Post after a 3-1 victory of "a magnificent exhibition by the half-backs, Hunter, Charlton and Greenhoff, whose strength was such that they always seemed to have the ball. Greenhoff, in particular, gave a polished exhibition of football … he worked tirelessly in attack and defence and one thrilling dribble in which he beat six men only to be foiled at the last moment deserved what would have been the goal of the match." Those were Greenhoff's only appearances in 1963/64 and the following season brought another series of cameo performances: Greenhoff returned 3 goals in 11 appearances but found it difficult to adapt when asked to play as an emergency right winger. Disgruntled with the scarcity of opportunities, Jimmy Greenhoff was transfer listed at his own request during the summer and it was rumoured that he would be used as a makeweight in a deal with Blackpool for Alan Ball. Greenhoff continued to feature intermittently for United, playing another 16 games in 1965/66, including three appearances in the Inter Cities Fairs Cup. For the most part, he continued on the right wing, though he also figured at right-half and even left-back in time of need. An ankle injury kept Greenhoff out until November and his first appearance of the campaign came on New Year's Day as Leeds beat Sheffield Wednesday at Elland Road. He figured in four of United's first five games of 1966, before suffering head injuries in a car crash in January. After returning to the side in mid-March, Greenhoff got a decent run of games, starting eight of the final ten matches, including all three battles with Real Zaragoza in the Fairs Cup semi finals. That set the scene for the 1966/67 season, which saw Greenhoff break through in a meaningful way, playing more games than he missed. Many of his appearances came at centre-forward. Revie used him sporadically over the first month of the campaign on both wings before switching him to inside-forward and then leader of the line in October. He was a revelation as a striker, bringing much needed penetration to United's play, though there was intense press speculation about a move for a big money forward as Leeds struggled to turn their dominance into goals. Don Revie in early December: "I am quite satisfied with the way Jimmy Greenhoff is buckling into his new job at centre-forward at a difficult time because of our injuries." Greenhoff's form was encouraging, and Richard Ulyatt enthused in the Yorkshire Post in December: "Without spending a ha'penny of the thousands of pounds they were prepared to splash on Hateley, they have made the centre-forward discovery of the season in young Greenhoff, hitherto a wing-half by reputation and a wing forward by expediency. "Against Blackpool ten days ago, Greenhoff headed a spectacular goal by perfect co-ordination of sight and speed. On Saturday against Tottenham, he opened the scoring with a 20-yard left footed drive and completed Leeds' contribution to the score with a right footed speculative centre which spun like a cricketer's leg break into goal … the indications are that Leeds United have at last found a centre-forward who can score goals. "Current form suggests that he will go on doing so, and that he will add excitement and enthusiasm to Leeds' forward play. Without possessing the urbanity of a Lawton or the accuracy of a Dean, Greenhoff is now playing as though he always wants to be where the ball is. That was why he soon tackled the Tottenham right-back Beal near the halfway flag and when he scored his second goal was near the left corner flag. Greenhoff chased, tackled, shot and headed tirelessly. He completely outplayed the international centre-half England and could not be controlled by either Mackay or Mullery, who are among the most formidable half-backs in the business. "As long as his zest for work is unimpaired, the fair haired Greenhoff is likely to worry better defences than Tottenham's. It may be that his talent has blossomed with the freedom to roam all over the field he now gets at centre-forward compared with the greater restraint he found on the wing or at wing-half, it may be that the little extra weight he has put on is an advantage. "Whatever the cause, Greenhoff has, in his new position, suddenly proved that the talent he has fleetingly shown during the last five years was not illusory. Let us hope that he is not now restrained by too much advice or by instructions to play to a pattern. A good old stop at nothing centre-forward is what this over coached game needs more than anything else. "It is not often that I write half a column on the potential ability of one player, but it is equally rare for an experiment, as Greenhoff's move to centre-forward was after Peacock, Madeley, Storrie, Belfitt and one or two others had been tried there without notable success, to be successful." Chief coach Syd Owen: "'He was a great centre-forward, a lovely mover, who always looked the part. When he first came he was a midfield player, but we felt he would be better as a forward where his first touch, skill and distribution would be an asset. He had very good self control: he never got over excited, irrespective of any abuse bestowed on him." Andrew Mourant: "It was felt he lacked the stamina to spend 90 minutes covering the field from end to end. At centre-forward, his excellent control, assured first touch and intelligent distribution could be used to greater advantage - and he could get a rest when he needed. 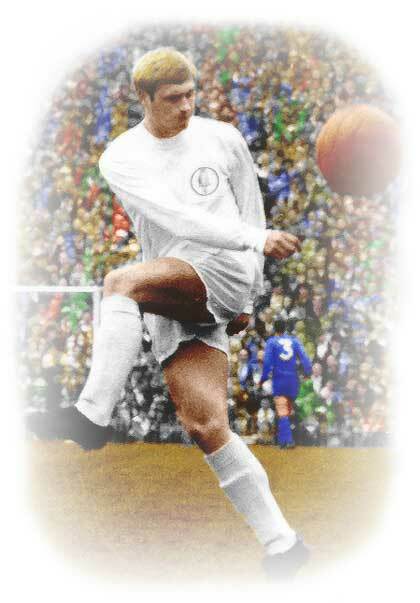 He was an excellent striker of the ball, capable of spectacular goals, few more so than his searing 20-yard volley which gave Leeds an early lead in the home leg of their 1967 Inter Cities Fairs Cup battle against Valencia." Greenhoff managed ten goals from 40 starts and 3 appearances as substitute, enhancing his reputation as one of the best young strikers in the game. A twisted ankle suffered against Sunderland in May kept him out of the Fairs Cup semi final against Kilmarnock - Rod Belfitt took his chance, netting a hat trick, but Greenhoff was back as an automatic choice for 1967/68, earning a Fairs Cup runners up medal for his appearance in the second leg of the final against Dinamo Zagreb. The signing of Sheffield United centre-forward Mick Jones for £100,000 in September 1967 left Greenhoff back out on the right wing, prompting speculation that he would seek a move, but Don Revie protested that he was not for sale at any price. 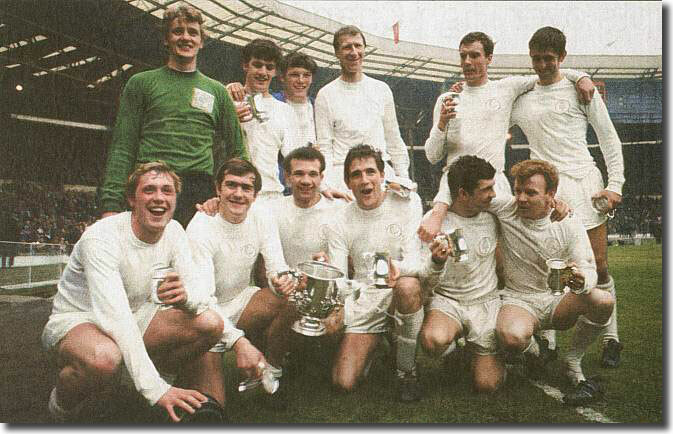 Greenhoff seemed happy enough with his lot and figured at No 7 in March 1968 as Leeds beat Arsenal 1-0 at Wembley to win the League Cup. He had been doubtful with a knee injury in the week of the final, as Don Revie recalled. "I would never have included Greenhoff and Giles had this been an ordinary League or Cup game, not in their physical condition. But these two had been playing superbly, and I reasoned that they would boost the rest of the team just by their presence on the field." Greenhoff scored 11 times in 37 League games, enjoying his best season so far. Probably his finest moment came with a spectacular hat trick in the 5-0 win at Fulham in January. Greenhoff's desire to operate at centre-forward on a regular basis left him frustrated. He played in the delayed first leg of the Fairs Cup final against Ferencvaros and started the first three League fixtures of the 1968/69 season. However, the next match saw the return of Mike O'Grady at his expense. Within days, he had moved to Birmingham City in a £70,000 deal. His substitute appearance against Ferencvaros made Greenhoff the subject of an archetypal trivia question as the player transferred in the middle of a cup final. Greenhoff's time at Elland Road was exciting if disappointing. He bemoaned the lack of silverware: "Everything would go well and then, at the death, we would crash. It was hard to explain. All that wonderful promise and then emptiness. I think the pressures were too great on a side which hadn't really grown up." The transfer came as a shock for the fans, for whom Greenhoff had always promised the touch of individual flair they adored. Eddie Gray recalls: "I think it was generally accepted that the blend and balance at the front end of the team was not as potent as it was in defence and midfield. To a degree, Leeds had appeared to make themselves weaker in that department with the sale of Jimmy Greenhoff. "Jimmy was one of the most talented and versatile attacking players at the club. The previous season, only Peter Lorimer, operating as a striker alongside Mick Jones, had scored more goals than him. "The decision to let Jimmy go, which I think arose from misgivings about the level of consistency in his overall play and his ability to overcome the rough treatment opponents were starting to mete out to him, brought Don Revie a lot of criticism from the fans." The manager, though, was resolute that the team needed a hard working, unselfish target man like Jones leading the line, rather than a cultured, classy artist like Greenhoff. Jimmy was rejuvenated by the change of scenery and was an instant hit at St Andrews. City were 17th in Division Two when he arrived, but Greenhoff transformed their fortunes. In one memorable game, the thrilling 5-4 defeat of Fulham on 5 October, he netted four times, taking his tally for the season to nine goals. After taking the lead in the second minute, City were 2-0 ahead after 14 minutes when Greenhoff headed home from six yards. Nine minutes later he nodded a second from a corner. At that stage it looked all over, but Fulham pulled level at 3-3 in the 53rd minute after second half goals through Frank Large (2) and an own goal from Dave Robinson. City were rocked by the fight back and things looked bad when Greenhoff fired a penalty wide in the 64th minute, but he completed his hat trick a minute later, steering a shot through a crowd of players. Back came Fulham and in the 68th minute erstwhile full-back Malcolm Macdonald (playing up front as an experiment, a switch that led to fame with Newcastle, Arsenal and England), nodded home a cross from Barrett to make the score 4-4. Greenhoff settled matters in the 71st minute when he tapped home after goalkeeper McClelland dropped a long ball at his feet. Greenhoff couldn't maintain that blistering scoring rate and his rich vein dried up as the season rolled on, but his 14 goals helped City climb to a 6th place finish. He grew unsettled towards the end of the campaign and in August 1969 he departed for First Division Stoke City in a deal worth £100,000. He settled quickly in the Potteries, becoming a fans' favourite despite a meagre return of nine goals. City finished 9th after struggling against relegation the year before. Manager Tony Waddington was building a decent side and among Greenhoff's team mates were Gordon Banks, George Eastham, John Mahoney and Terry Conroy. Stoke were founding members of the Football League following their formation in 1863, though they had never been among the game's major powers. In the next six seasons that was to change dramatically. The first hint of better times came in 1971. City's League form was mediocre, but they made up for it in the FA Cup, defeating Millwall, Huddersfield, Ipswich and Hull before meeting title-chasing Arsenal in the semi finals. Despite Arsenal's strong League form, City had earlier beaten them 5-0 and looked on their way to a surprise victory when they took a 2-0 lead. The Arsenal.com website: "Both goals were farcical from an Arsenal perspective: Peter Storey's clearance bounced into the net off Denis Smith and John Ritchie capitalised on Charlie George's poor backpass. Then came the turning point. 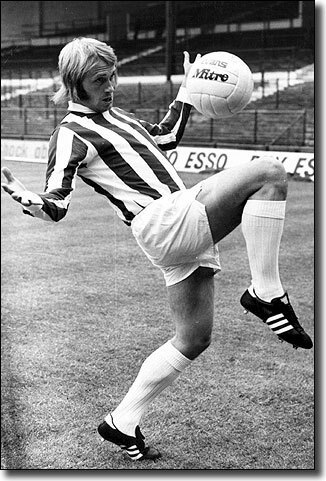 Jimmy Greenhoff, in stellar form for Stoke all day, fluffed a golden chance to put his side three ahead before half time. Arsenal were down but, thanks to Greenhoff, they weren't quite out." In the second half, Storey atoned for his earlier glitch, hammering home from 20 yards and then netting an injury time equaliser from the penalty spot. City's chance had gone and goals from George Graham and Ray Kennedy made short work of the Potters in the Villa Park replay. City struggled in the League again in 1972, finishing 17th, but were a different kettle of fish in the FA Cup, where they again lost to Arsenal in a semi final replay. They went even better in the League Cup. The Telegraph: "They were good times. Work-rate had not yet suffocated improvisation. The League Cup final of 1972 was a ticket-holder's dream: Stoke City and Chelsea, each playing a 4-1-5 attacking formation when in possession. Tactically ambitious, Stoke were consequently vulnerable, but against Chelsea they memorably confounded the odds, and indeed the run of the play on the day. Conroy, a lilting but injury-prone Irish winger who went past defenders as softly as a Galway mist, was part of the five-pronged strike-force - with Peter Dobing, Jimmy Greenhoff, John Ritchie and Eastham on the left flank - that left only Mike Bernard holding the midfield. 'We filtered back if we lost the ball,' Conroy reflects, almost casually. 'If you wanted to go, you went. Tony Waddington had faith in us.'" Conroy opened the scoring early on with a scrambled header before Chelsea took control with some fluid midfield play. Gordon Banks kept City in the game with a brilliant display, though Peter Osgood scored an untidy equaliser. When Peter Bonetti failed to hold a shot from Greenhoff in the second half, George Eastham slammed home a memorable winner. 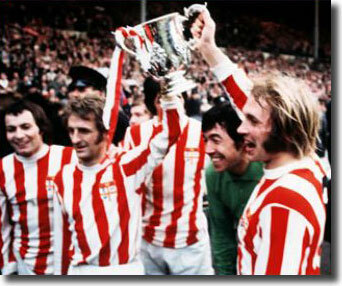 There was no more cup glory in 1973, a dismal season that saw Stoke in the bottom half of the table, but things picked up in 1974 when they finished fifth in the League and recorded a memorable victory over Greenhoff's first club. Leeds were on the way to a second League title, and had gone 29 games unbeaten. They visited the Victoria Ground in February with high hopes of preserving that record and Lorimer and Bremner gave them a two-goal lead. Alan Hudson pulled one goal back and then full-back Mike Pejic smashed the equaliser from a free kick just before the break. City skipper Denis Smith dived to head a memorable winner from a second half corner. During the summer of 1974, Tony Waddington added the finishing touch to his team by forking out £325,000 for England goalkeeper Peter Shilton. City launched an impressive chase for the League title and the championship was a distinct possibility until a defeat at Sheffield United with three games to go. They had to be content with another 5th place finish, though they were only four points behind champions Derby. Greenhoff had a starring role and his strike against Birmingham in December 1974 was voted ITV's Goal of the Season. It was typical of the long range efforts he excelled in. That was the summit of Stoke's achievements and they lapsed back into mid-table thereafter. For Greenhoff, though, there was an Indian Summer in pastures new. On 12 November 1976 he moved to Manchester United for £100,000, joining up with brother Brian. Manager Tommy Docherty had taken the Reds to third in the League and an FA Cup final in 1976. He saw Greenhoff as the ideal player to provide the necessary experience in a youthful squad that included Sammy McIlroy, Steve Coppell, Gordon Hill and Stuart Pearson. Playing in a spearhead with Pearson, Greenhoff's intelligent linking play was pivotal to United's play. 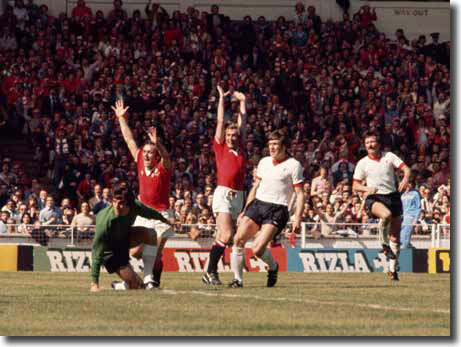 The Old Trafford club reached the FA Cup final again in 1977 with Greenhoff scoring one of the goals that saw off Leeds in the semis. United's opponents at Wembley were Liverpool, who were seeking the treble of League, Cup and European Cup. Greenhoff made Pearson's opener in the 50th minute, flicking McIlroy's pass over Emlyn Hughes. 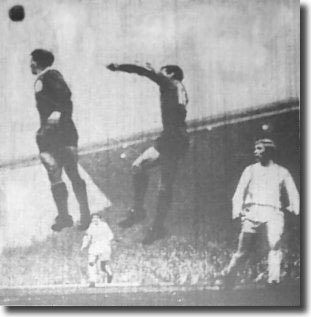 Liverpool midfielder Jimmy Case half volleyed a superb equaliser within two minutes, but United were ahead again three minutes later. Greenhoff tussled with Liverpool defender Tommy Smith and the ball broke to Lou Macari. The Scot's shot appeared to be going wide until it hit Greenhoff's chest, looping up and over Ray Clemence for an astonishing winner. Tommy Docherty left the club shortly afterwards, to be replaced by the more conservative Dave Sexton. The club finished no higher than tenth in Sexton's first two seasons, but reached the Cup final again in 1979. The ManUtd.com website: "United's trip to Goodison for their FA Cup semi final replay with Liverpool was all about the actions of Jimmy Greenhoff. He accrued 36 goals in 122 games but arguably his most important strike came in the semi final replay on Merseyside. Jimmy said "we gotta put things right, we're going back"
"After drawing 2-2 with Liverpool at Maine Road, the Reds travelled to Goodison for the replay. United dominated the early exchanges, Jordan rattling Ray Clemence's crossbar before Liverpool fought back, Ray Kennedy almost stealing a place in the final. Luckily for United his header bounced back off Gary Bailey's bar. "With just 12 minutes left, it could have gone either way. Cue Greenhoff. The striker got on the end of a Mickey Thomas cross and his superb header left Clemence with no chance as he sealed a famous win for United." Greenhoff: "I remember Mickey Thomas crossing the ball and as it was on its way over I didn't know whether to chest it down and hit it or go for the header. But Ray Clemence in the Liverpool goal made my mind up for me. He started to come out for the cross so I decided to make a lunge for it with my head. It was the longest twelve minutes of my life between scoring the goal and the final whistle but it's certainly a day that I'll always remember." United lost the final to Arsenal, but supporters voted Greenhoff Player of the Year. He left Old Trafford in December 1980 to join Crewe Alexandra, moving on to Toronto Blizzard of the NASL in March 1981 and then Port Vale the following August. He was still hitting wonder goals, as fans recall for Onevalefan.co.uk: "Jimmy Greenhoff scored with a 30 yard volley, smashing it in from a corner sent over, hitting the underside of the bar and flying in. The whole ground went silent for a second as nobody had seen a strike like it." He remained at Vale until March 1983, when he took over as player-manager at Rochdale, staying until March 1984. He later became coach at Port Vale before drifting out of the game and setting up an insurance business (Greenhoff, Peutz and Co) in Audley near Stoke. "Many have cashed in, of course. Some have had good reason, others have not. But from a career that spanned 20 years and seven English clubs, Greenhoff treasures his FA Cup finals the most. "In 1977 Greenhoff was credited with the winning goal after Lou Macari's shot flew in off his chest to enable United to beat Liverpool 2-1 and derail an Anfield treble bid. Two years later, he was exhausted and out of form as a late United comeback could not prevent Arsenal winning 3-2. "He has no scrapbooks, no cuttings and has not even got the shirt he wore in 1977. That was stolen from the Wembley dressing room. But he has his medals and his memories. They are crystal clear. 'That competition was everything to us,' he recalled ahead of tomorrow's Manchester United versus Arsenal tie at Old Trafford. "Greenhoff will be at Old Trafford as a corporate host tomorrow as Sir Alex Ferguson and Arsene Wenger rest players ahead of Champions League commitments next week. It symbolises the ongoing decline of the FA Cup." "It's to do with money because these days the Premier League is everything," said Greenhoff. "But we have not helped ourselves. Playing semi-finals at Wembley devalued the final right away. And now we have managers resting players. All I can say is that if I had been left out of a single FA Cup game, I would have knocked on the manager's door and asked why. I think Wayne Rooney is the same. He looks angry every time he is so much as substituted. But I am not sure they are all like that." Greenhoff's life remains less than comfortable. The fall-out from a failed insurance venture in the 1990s continues to affect him. At 61, he works nights at a pharmaceutical company in Stoke. There are regrets but no bitterness. "Rio Ferdinand earns more in a week than I did in my career," said Greenhoff, who was collecting £250 a week when he scored the winner in 1977. "I could do with some of that! But good luck to them. I wouldn't have turned it down." On the dark days, the down days that he admits to, he leans on his wife Joan and dotes on grandson Marcus. He has fallen out with his brother and former United team-mate Brian but there are always the memories to help him through. "I still can't believe somebody nicked my shirt in 1977," he reflected. "After we won the game it was bedlam in the dressing room. Everyone was in the bath. Players, staff, kit men. And when we got back to Old Trafford my bloody strip wasn't there. "Ten years later I was doing an engagement in Cleethorpes and this bloke comes up and says, Jimmy, it was me. I took your shirt. He was just a member of the public. Walked in and took it just like that. He offered it back to me but I was so taken by his honesty I said he could keep it. I still can't believe I said that. I would love that shirt back now. Maybe that guy may read this and call me up." "It seems such a long time ago now, and for the first year I coached kids around the country at holiday camps. The mileage eventually started to rack up so I looked at something different." At that point Jimmy's life took a downward turn, with the repercussions having a devastating effect on Jimmy and his family. "A 'so-called' friend of mine wanted to go into insurance and I was silly enough to go with him. I did that for about eight or nine years, but unfortunately I found out he had been doing the dirty on me since day one. "I ended up losing everything that I'd worked for in my 23-year playing career. I really did lose everything including my house. It was absolutely shocking." Jimmy quickly needed to find a Plan B, scraping himself off the floor to keep his beloved family afloat. "I always expected to be comfortable but that was snatched away from me, I had to now make sure there was food and drink on the table. Because I needed the money I ended up taking the first job that came along. "I was in a warehouse pulling trucks and trolleys around and collecting wallpaper. A lot of people have to do it and I found out that I had to do it to bring a wage in. People ridiculed me for working in a warehouse but it had to be done." Life working in a warehouse kept Jimmy and his family afloat but little more. Thankfully a career lifeline was just around the corner. "I began working for a pharmaceutical company, they were absolutely wonderful towards me and knew the predicament that I'd been in. "It was a job that was obviously completely different from football. I'd be dressing up putting my overall, mask and hood on and manufacturing respiratory products for hay fever and asthma. After what I'd done in the warehouse it was wonderful!" Greenhoff was never the most prolific of strikers, but managed 146 goals in 571 League games. It was the quality of his goals and his linking up play for which he will be remembered. In April 2005, he was nominated as Stoke's best ever player in FourFourTwo magazine.